We are a small breeder of Australian Labradoodles in East Gippsland Vic and our aim and philosophy is to produce healthy and family friendly dogs. The labradodles we own are treated like family and all pups born at Bungaree are raised around four children and with high standards of welfare. "Bungaree" is an aboriginal word meaning 'hut' or 'home' and here at Bungaree Labradoodles it defines the way we raise and care for our dogs. 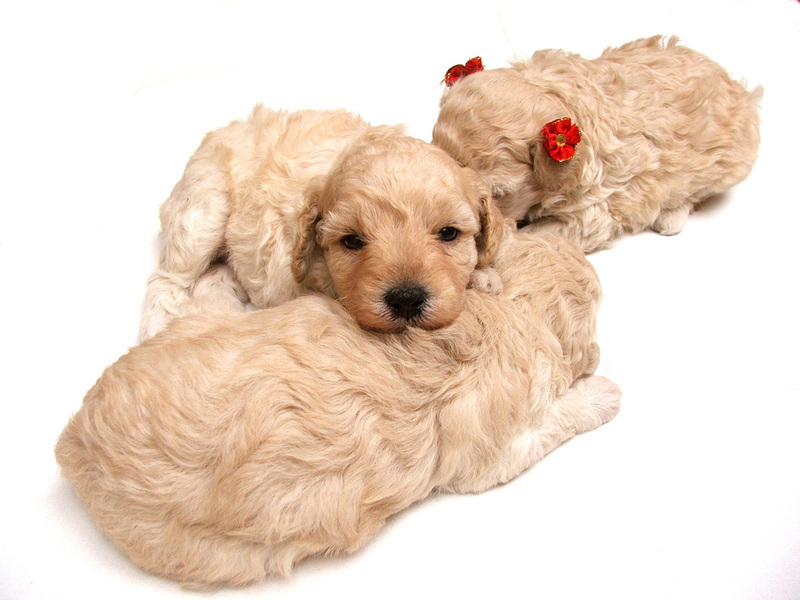 Labradoodle pups have quickly become a popular pet for many people. They have a loveable, playful nature, and are quite intelligent which helps with their training! As a family we value dogs who are gentle, fun and love children as well. A number of us are allergic to most animals and therefore we love the fleece and wool coats of the Australian labradoodle which are so soft and do not aggravate our allergies! We also love the robust, labrador size of the medium and standard Labradoodle's which are perfect for families with children. Labradoodles are great for families with kids! Another special attribute of the Labradoodle is the way they seem to understand the mood or needs of their family. Our children are often very touched by the response of our chocolate labradoodle, Ruby, when they have been hurt and need comfort. We have noticed that when cared for correctly, Labradoodles do not bark a lot. This has been great because we know that when Ruby does bark, there is a good reason for it - like the chickens have escaped! The Labradoodle is a very unique breed that so far is devoid of many of the diseases and health issues that many other pure bred dogs are subject to. It is our mission to work alongside the Australian Labradoodle Association to make sure this excellence continues with selective breeding and a high standard of care and welfare. Due to this, we make sure all breeding dogs that are not part of our own family are with a family for life. We do this by using Guardian Homes for our breeding dogs. No dog should have to spend their life in a cage or have to start a new life once their breeding days are over. 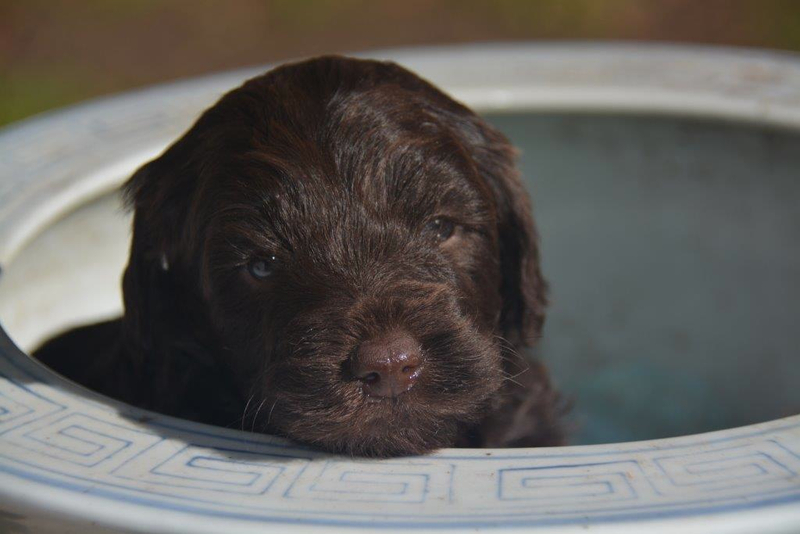 Please see our Upcoming Litters pages for current information on labradoodle for sale information. 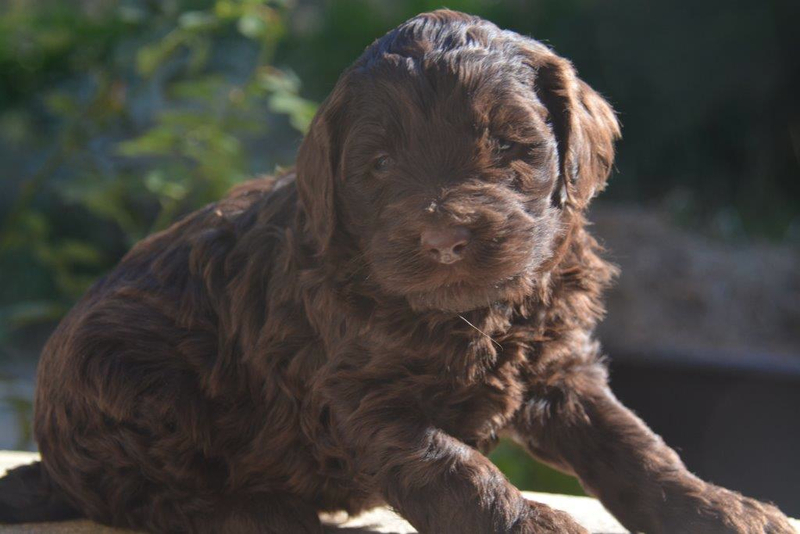 ​Finding your new special labradoodle pup is not enough!. You need to make sure you know how to care and train your labradoodle in a way that will help them become a valuable part of your family. We feel that is is our responsibility as breeders, to make sure new owners are prepared with the knowledge and tools of how to train dogs and care for them. 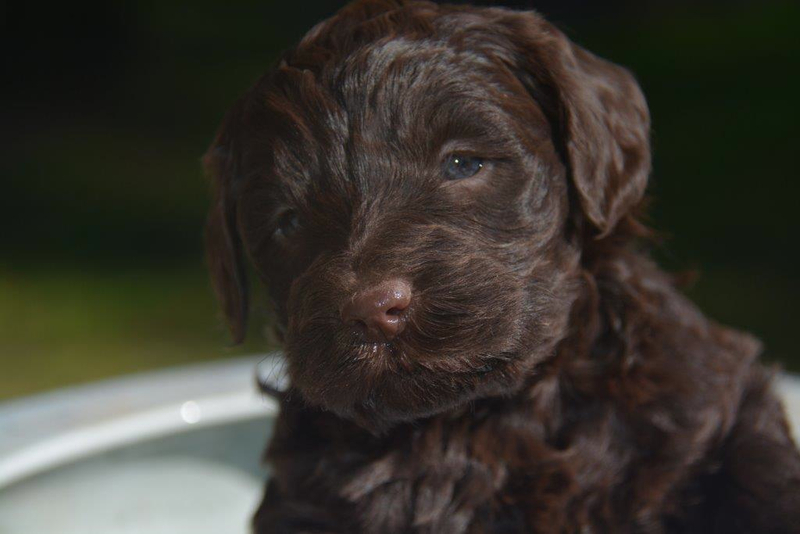 Make sure you check out all the ideas on grooming, puppy crate training and toilet training a puppy on our Caring / Training Labradoodles pages. We are members of the Australian Labradoodle Association and therefore are bound by their Code of Ethics. This means that all our breeding dogs receive thorough health testing and companion pups are desexed before going to their new families. We take seriously our role to ensure the Australian Labradoodle retains its excellent reputation in coat, temperament and superb health results.